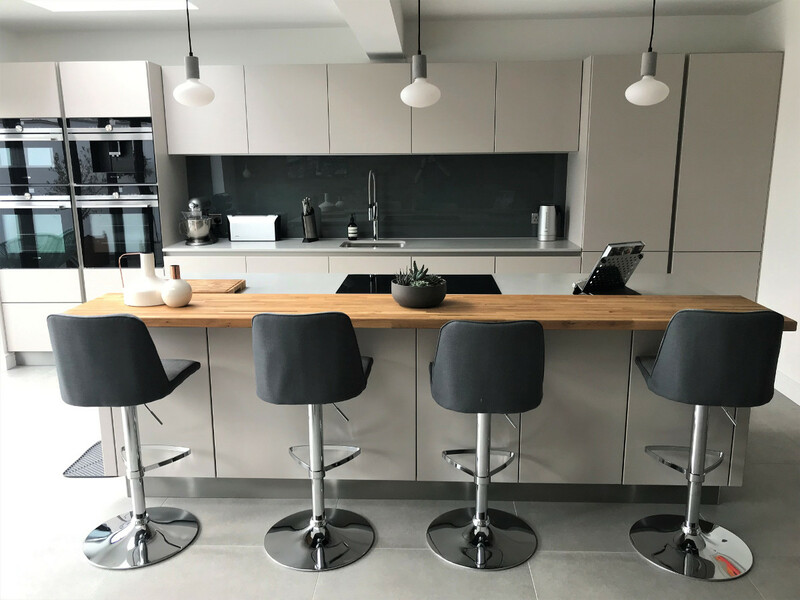 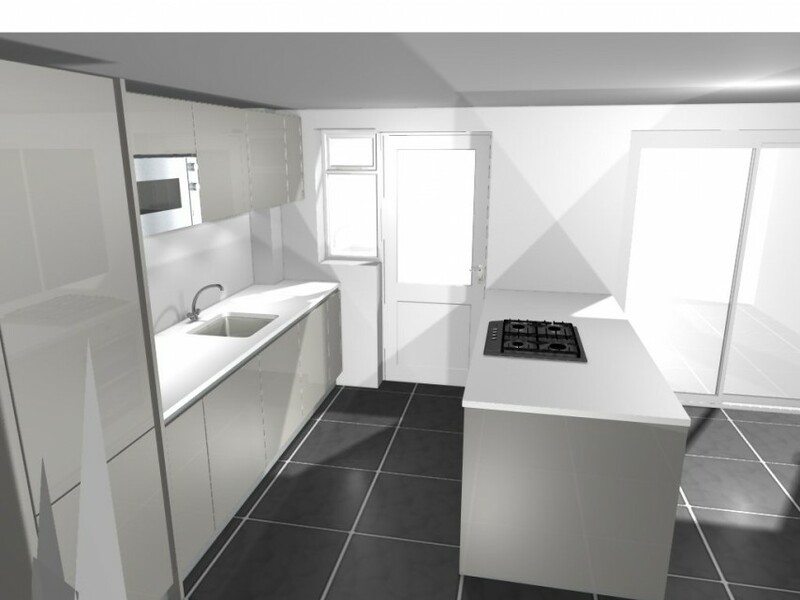 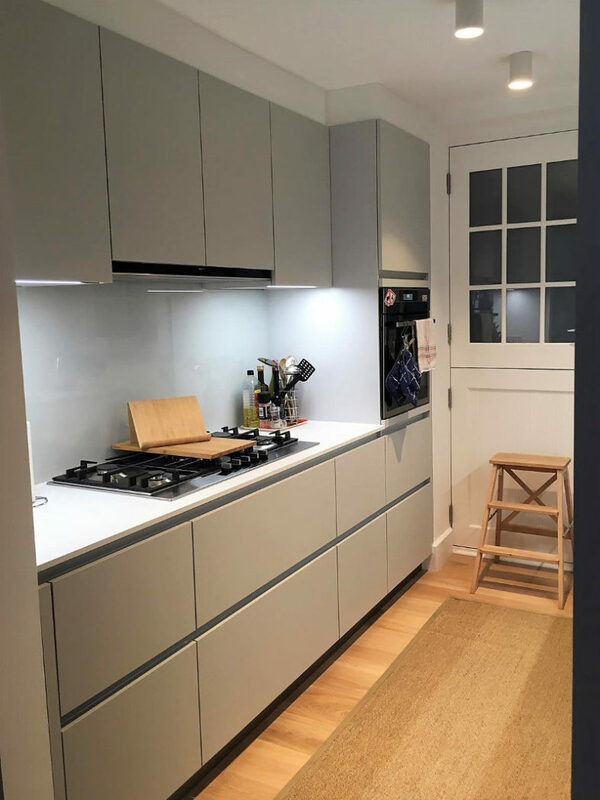 Violet chose currently our most popular colour ‘Crystal grey’ (light, off-white grey colour) in high gloss lacquer finish from our Next125 range, complemented by a soft sky blue glass splashback. 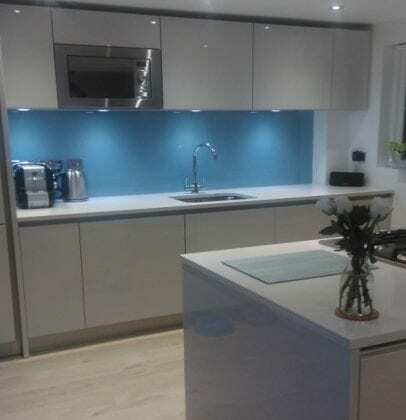 The worktops are 30 mm Quartz stone in ‘Glacier’. 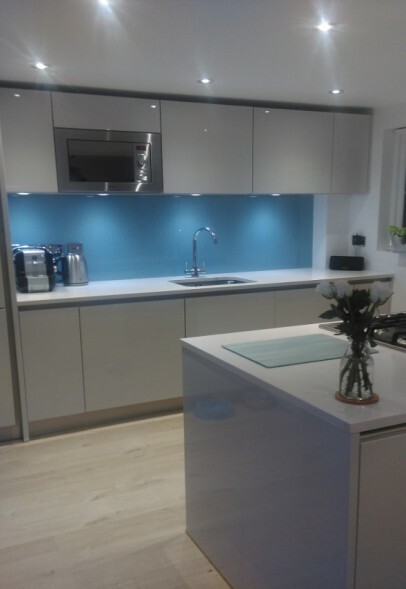 The wall units are 625 mm high and feature factory fitted recessed LED lights. 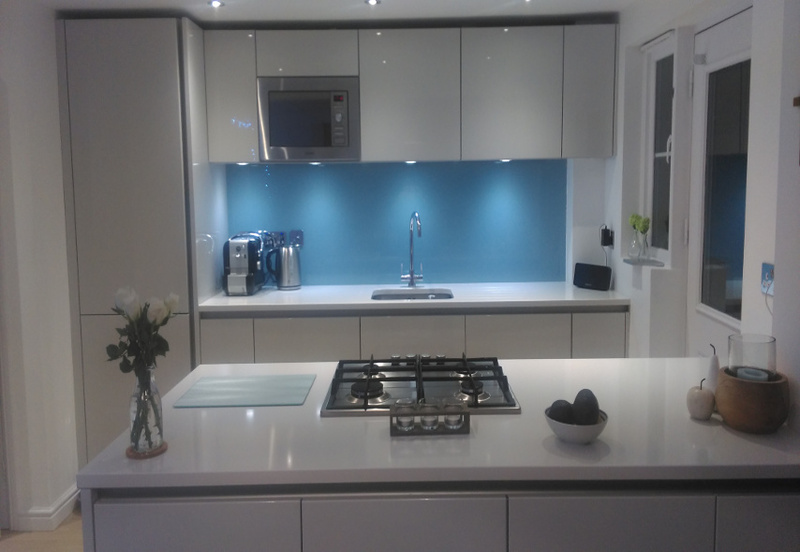 “Ah thanks Julie we love it, exactly what we wanted.